When you think of Hakone, you’ll think of hot springs. 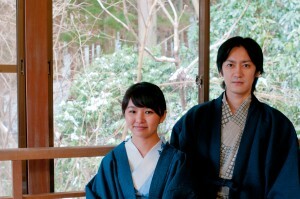 Do you know many hot springs there are in Hakone? 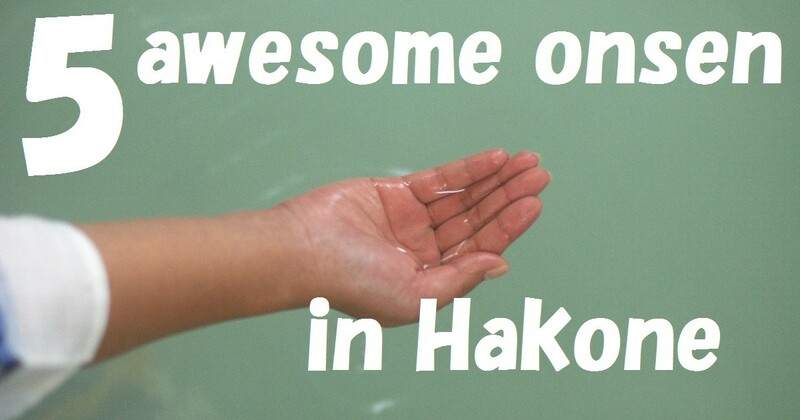 There are a whooping 20 hot spring sites and 290 hot spring sources just in Hakone alone! We can call it Japan’s leading hot spring departmental store, with 25000 tonnes of water gushing out every day. The water’s qualities and abilities vary according to the type of hot spring it is. Let us introduce to you 5 outstanding types of hot springs in Hakone, their abilities and how to enjoy them! In 1894, the Gora hot spring area started drawing its water from Owakudani, and has come to be known as an refined area with houses of the rich and villas of politicians built there. After 1952, many other hot spring sources were found in Gora itself, and there are 46 sources (including from Owakudani) in total now. There are 3 different types of hot springs waters at Gora Hot Springs. Adding the water from Owakudani and Sounzan, there are a total of 5 types of waters here. The 5 hot springs have different colours, and is called pastel coloured hot springs due to its rich colour. The pale yellow coloured water has Sodium Chloride, which is said to help relief muscle aches, joint pains, problems with the female reproductive system, chronic digestive problems, and will help your skin become smoother. The pale green coloured water contains Sodium Sulfate, which can help lower high blood pressure, cure arteriosclerosis, diabetes, gout, and is good for digestion. The pale brown coloured water has Calcium Sulfate that is effective against high blood pressure, arteriosclerosis, diabetes, skin problems, muscle and joint aches, and also for reducing stress. The colourless water is pure water from Sounzan, and can help increase the speed of recovery from illnesses, surgeries, fractures, skin-surface injuries, and is gentle to your skin. Last but not least, the milky white water that is well known as the Milky White Hot Spring is acidic water from Owakudani, and is effective against high blood pressure, arteriosclerosis, female reproductive problems, muscle and joint aches, digestive problems, and is especially recommend for people sensitive to the cold or with lifestyle diseases. Gora is convenient located, and can be accessed from Hakone-yumoto via the Hakone Tozan Railway, or from Sounzan by cable car. 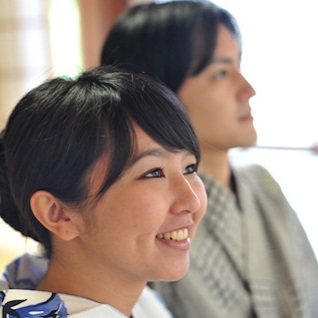 It’s a suitable place for people who want to explore the various hot springs in Hakone and further enjoy your trip here. The first stop you’ll reach if you go to Hakone by train is Hakone-yumoto. The hot spring here is the oldest in Hakone. Upon getting off the train, you’ll be greeted by rows of shops lining the streets, with the smell of hot springs thick in the air. You’ll feel like “Ahh I’ve really come to the town of hot springs now!”. It is said that the Yumoto Hot Spring was first discovered by a Buddhist monk in the 8th century. Yumoto is situated at the foot of Mt Hakone, and is called the entrance of Mt Hakone, an important transport link between the east and the west of Japan that even famous historical warlords like Minamoto no Yoritomo and Toyotomi Hideyoshi used. There is pure water and water with Sodium Chloride content here, and varies according to its source. Most of the hot springs here have pure water, and is safe for people who are trying out the hot springs for the first time. The abilities of the waters change according to the type of water, but they can generally help relief nerve pain, muscle and joint aches and sensitivity to the cold. Hakone-yumoto is the largest hot spring street in Hakone. There are 75 water sources (as of 2006). There are more than 40 places of accommodation here with splendid hot springs and sumptuous food, as well as plenty of souvenir shops where you can purchase Hakone’s specialities. Also, there are hot spring facilities that you can make a day-trip to, and it’s fun to go into different types of hot springs and compare them. Sengokuhara used to be part of Lake Ashi. About 3000 years ago, volcanic activity on Hakone caused rocks to move, filling up a part of the lake, and that area is now known as Sengokuhara. It is said that the name “Sengokuhara” came from a warlord in the 12th century, Minomoto no Yoritomo who gazed across the wide wasteland and said “We can probably get 150 tonnes (Sengoku) of rice from this land”. Sengokuara has 32 sources of water, which mostly have Calcium Sulfate content which is effective against joint pains, high blood pressure and skin diseases. The Sulfate water is especially known for being able to moisturise your skin, beautifying it. Sengokuhara is located deeper into Hakone and is surrounded by nature. There is a range of types of accommodation here, from large hotels to small private inns. There are outdoor baths, spas and many types of accommodation, so do carefully pick one that is suitable for your stay here! Sengokuara is also near the Hakone Glass Forest Art Museum, Meissen Garden Art Museum, Lalique Art Museum, Pola Art Museum, The Little Prince Art Museum, and many other art museums. By having a dip in the baths and embracing art, you’ll be able to relax your heart here. Lake Ashi Hot Spring is located at Lake Ashi near Moto-hakone. Built in 1966, it’s a relatively new hot spring with water drawn from Ashinoyu. There is pure water and Sulfate water, which is effective against joint pains, exhaustion, sensitivity to the cold and skin problems. There used to be a jinx that you can’t find a hot spring at a place where you can see Mt Fuji. However, Lake Ashi Hot Spring broke this jinx, and a hot spring source 1000m deep was dug out. Being able to gaze at Mt Fuji across Lake Ashi as you soak in the hot spring is a great luxury even for the Japanese people themselves. The accommodations in Lake Ashi are located amongst the mountains in a tranquil area, and you can experience a peaceful homely atmosphere. The famous spiritual spots Hakone Shrine and Kuzuryu Shrine are also located here, and you can visit the remains of the Hakone Sekisho and many other historical features. Also, you’re able to board the sightseeing ship at Lake Ashi, water ski or hold a barbecue here. It’s a good place where you can experience nature, culture, the hot springs, and different type of leisure activities. Yugawara Hot Spring is located further down Hakone towards the Pacific Ocean. Lying on the Tokaido Main Line, it is convenient to access no matter from Tokyo, Osaka or Kyoto. When you get off at Yugawara station, you’ll be greeted by the hot spring street that climbs up the Chitose River. Yugawara is near the sea and the mountains, and ryokans (japanese inns) line the narrow coastline, giving off the atmosphere of a true blue japanese hot spring street. Yugawara has been famous all the way since the 8th century, and was mentioned in poetry then. There were authors and artists that stayed here for a long time while creating their works. Many received inspiration from Yugawara, where you can experience the sea, mountains, rivers and ever-changing rich nature. The water contains Sodium Chloride and Sodium Sufate, which have a wide range of abilities like curing nerve pain, muscle and joint aches, digestion problems, haemorrhoids, female reproductive problems, aiding in recovery from diseases and exhaustion etc. The water at Yugawara is also gentle towards your skin, and you can slowly get in and heal your body and you’re unlikely to catch a chill after your bath. The water is very good for your skin, and is even called the “Water Pharmacist”. It’s the ideal hot spring experience where you can soak in the baths, walk around the hot spring street in your yukata and savour delicious fish dishes from the sea and mountain vegetables from the mountains. Although they are all “hot springs”, there’re a range of types and abilities. Furthermore, it’s interesting that each hot spring town has its own speciality. Do choose the hot spring that suits the concept and plans of your trip the best.